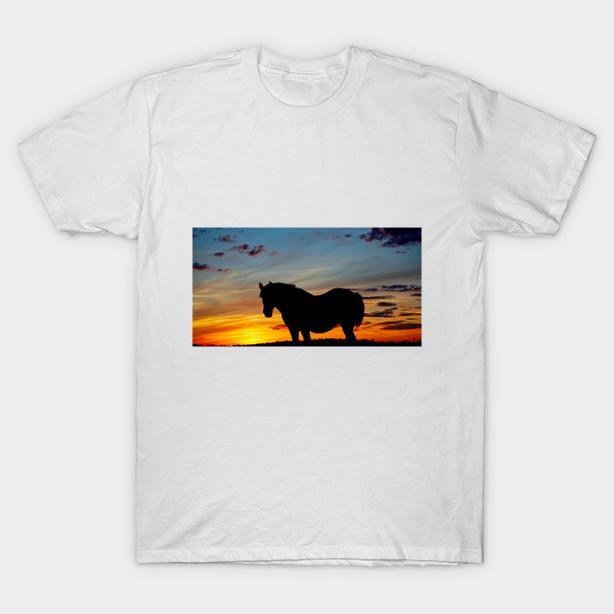 Sunset Horse, a silhouette of a horse at sunset on the Canadian Prairies, in Saskatchewan, Canada. Big Sky Country as Saskatchewan is often called, has dramatic sunsets, and horses are found across the prairies, making for some dramatic photographs. Photo by noted artist and photographer, Bryan Smith, reflecting his love of nature and art. More items with this design are available, as are many more items with his work on it, in our store. Go take a look, and find something special!